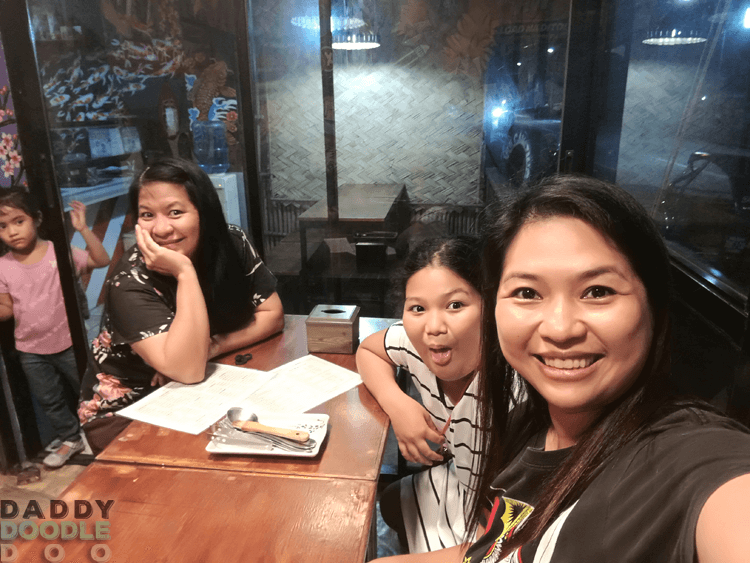 As family who loves to eat, we love to try new restaurants within or sometimes outside of the metro. We also love to support local restaurant near our place. 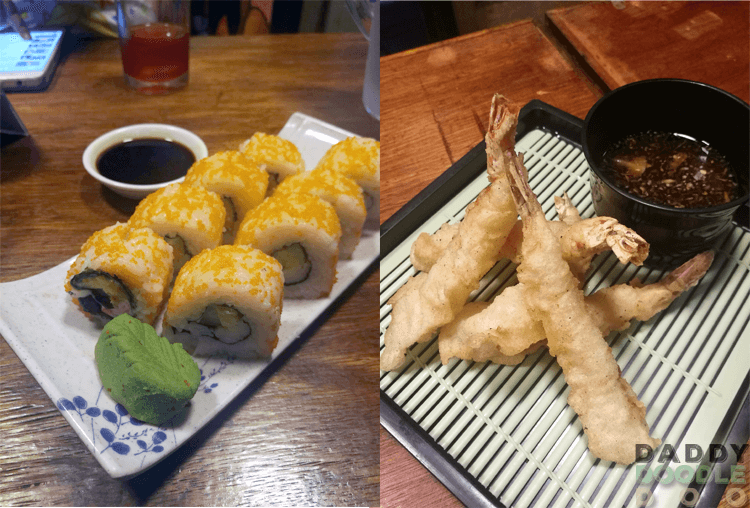 Last week we were craving for Japanese food, so we decided to try a new restaurant just 10 minutes away from our place. The name of the restaurant was Ryo Japanese Snack. Located in Tugatog, Malabon City, it is just a 10 minute drive from our place. 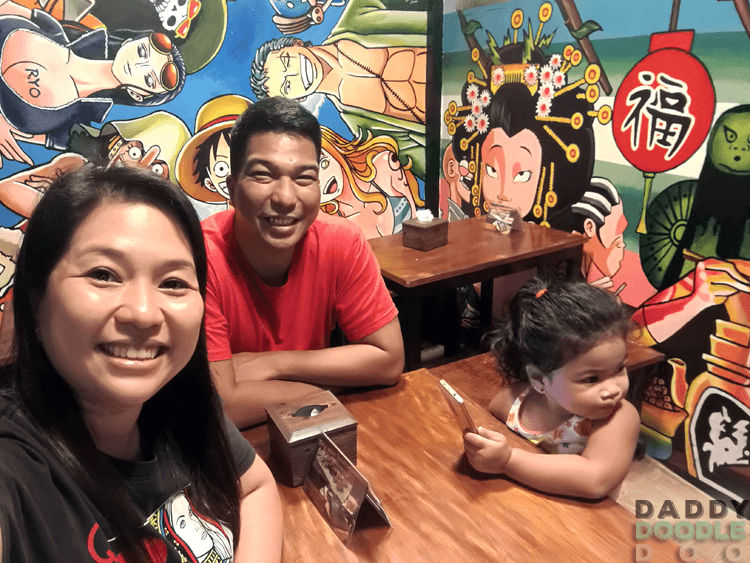 Ryo is a family operated restaurant which has recently opened. 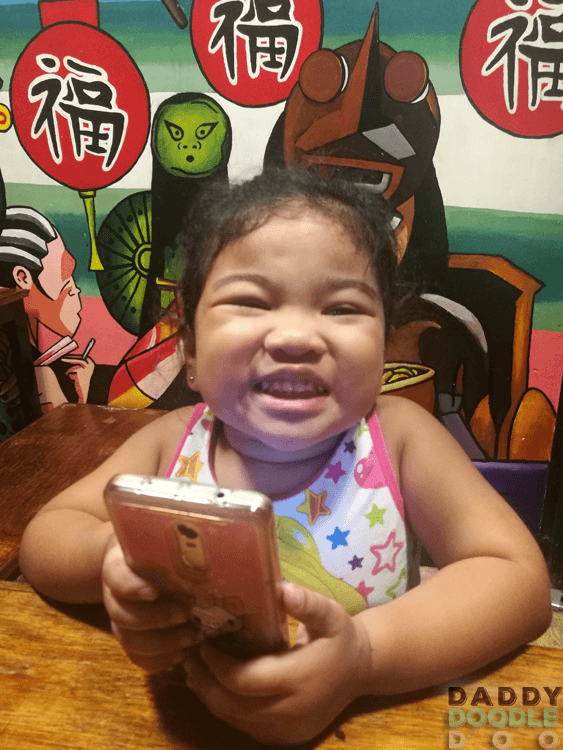 We have already tried a few Japanese restaurant in Malabon City but we decided to give Ryo a try. The owners of Ryo decided to convert their garage into a restaurant, one half of the restaurant is open while the other half is air conditioned. All the members of the owners family work together to operate the restaurant. They even had their daughter which my guess is a little over 5 years of age helping in the restaurant. 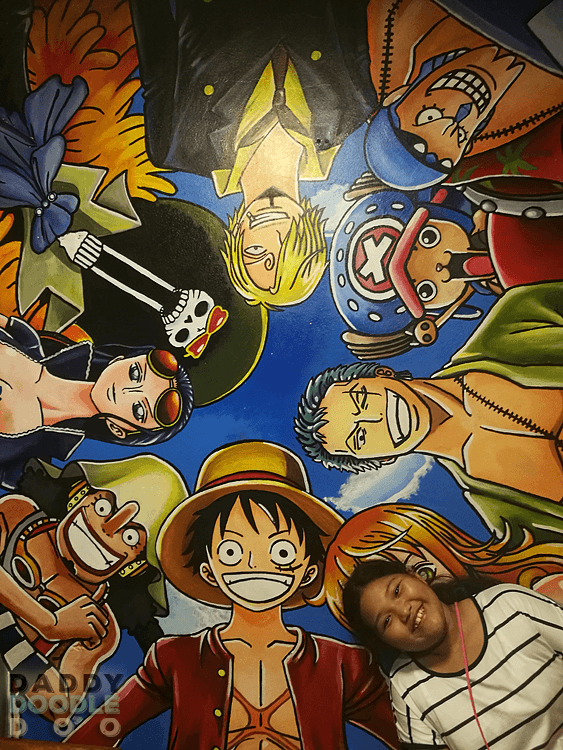 The restaurant has a Japanese Anime theme which is visible on their beautifully illustrated walls. We ordered some ramen, tempura , California Maki, chicken teriyaki and wagyu cubes. 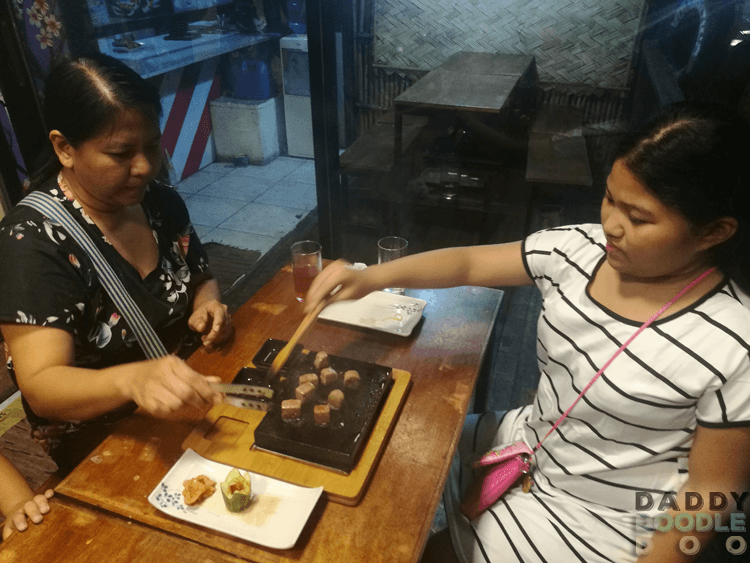 For their wagyu cubes you have a choice to have the chef cook it for you or for you to cook it yourself, we opted to try to cook it ourselves for the experience cooking our own meal. So they served us the wagyu cube together with a very hot stone grill to cook it and we had fun cooking it. The tempura was served hot and crispy which is a plus for me. All in all we had a great time so if you wanted to have a decent japanese meal for a low price and you live near the area I suggest you try Ryo Japanese snack.